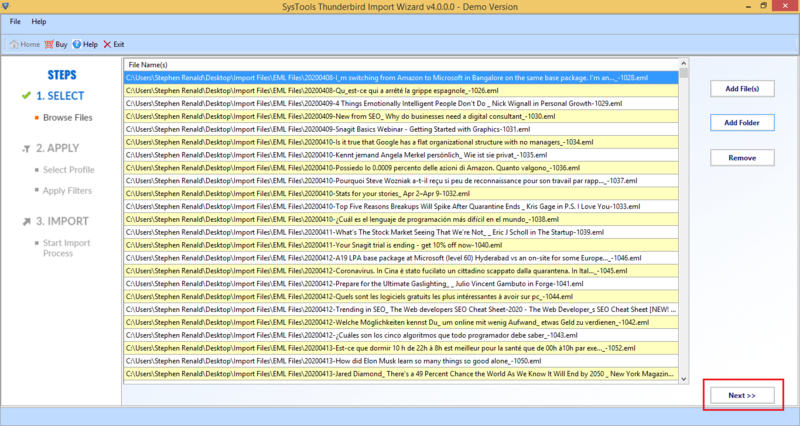 Thunderbird Import Wizard is a trustworthy approach to add MBOX files to Mozilla Thunderbird. The software has been designed with advance algorithms and can import the files very quickly. It is gaining popularity among professionals due to its amazing features. Thunderbird is one of the popularly known platforms for emailing proposes or cross-interaction. It is used by various organizations to maintain the business continuity. It stores the data in MBOX file format. 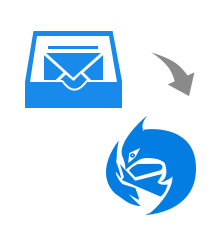 Nevertheless, there are some more platforms, which support MBOX format. Some of them are EarthLink, Pocomail, SeaMonkey, Eudora, etc. This is the reason that sometimes users wish to import MBOX to Thunderbird. What Makes MBOX File to Thunderbird Tool A Worthy Solution? It has now become a trustworthy tool among users. 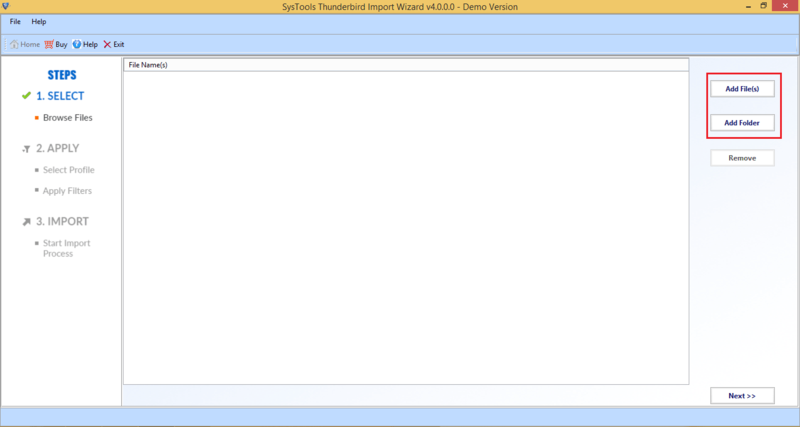 The Import MBOX to Thunderbird utility has been introduced after a long research. There are so many unique features, which makes make the tool worldwide-accepted software. Moreover, with this it becomes very easy and quick to move MBOX files to Thunderbird in batch mode. 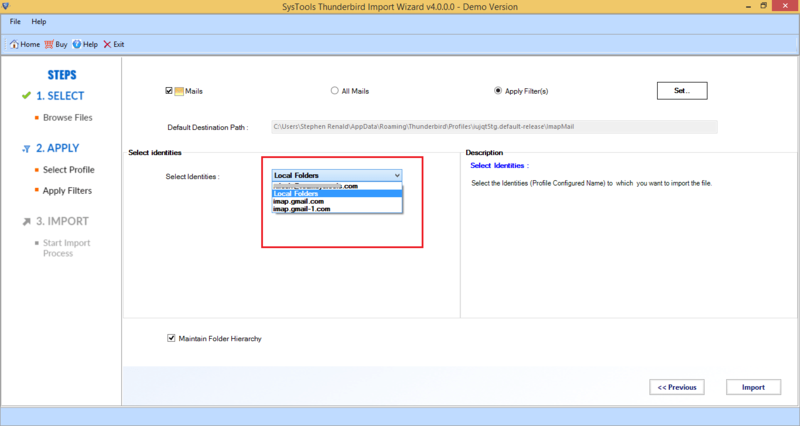 Does Thunderbird Import Wizard can work in Windows version 8.1? Yes, of course. In fact, the software is capable to work in every version of Windows Operating system. Can I convert heavy MBOX files using this utility? Yes, Import MBOX to Thunderbird utility can convert any MBOX files regardless of its size very easily. Is the tool retains folder hierarchy as I have bulk of MBOX files in specific order? Yes, our tool maintains the folder structure making it easy for users to access files after process.